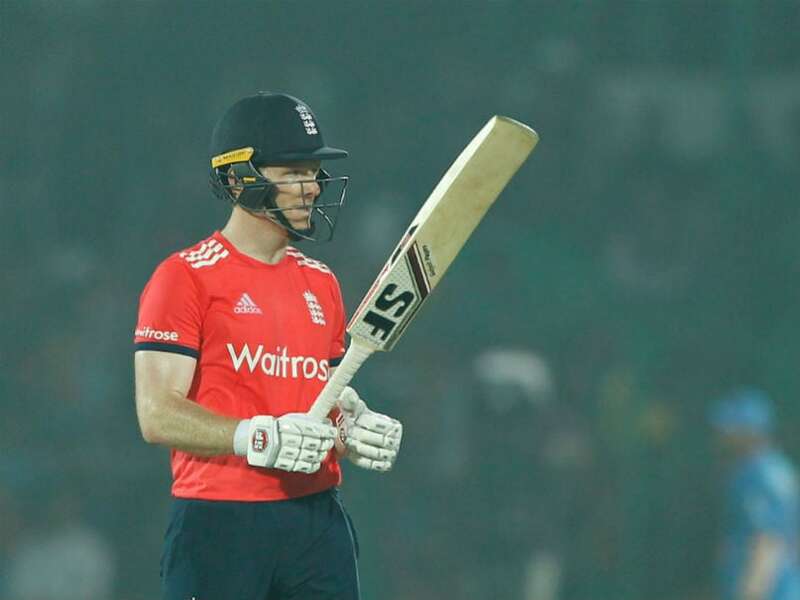 England were beaten by 5 runs in the Nagpur T20I and Joe Root was dealt a real howler as umpire Shamshuddin adjudged him lbw in the final over when there was a thick inside edge. England skipper Eoin Morgan on Sunday expressed his frustration over the quality of umpiring in the 2nd T20I against India and stated that his team will give their feedback to the match referee. The visitors were beaten by 5 runs in the Nagpur T20I and Joe Root was the victim of a real howler as umpire Shamshuddin adjudged him lbw in the final over when replays showed that the ball had come off the thick inside edge of the bat. “We have the opportunity to do so before the next game. Feedback on umpiring is given through the match referee. I don’t see why we can’t have DRS in T20s,” Morgan said, indicating that they are set to speak to the match official. Morgan didn’t hold back about what he thought was a bad decision at a critical juncture. “Very frustrating it absolutely shifted the momentum in the 20th over. Losing a batsman (Root) off the first ball, who has faced 40 balls on a wicket that’s not easy to time the ball on is quite a bit of a hammer blow. “It proved very costly all things considered a couple of decisions did not go our way. We still should have won the game,” said Morgan.